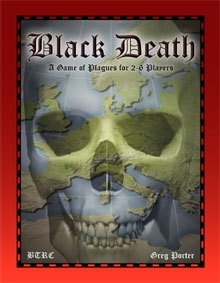 Black Death is the game of plagues for 2 to 6 players. Each player is a different strain of disease in 14th century Europe, and whoever racks up the highest body count wins. It is a game of conquest and strategy, just a different sort of conquest than your average wargame. 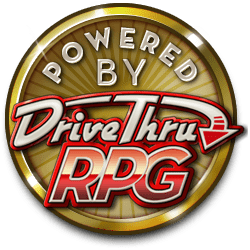 Take a look at the sample file. It's got the rules, assembly instructions and a peek at the components. The quality matches anything you'd buy at the store, but you can get it as a download for a quarter the cost. Black Death includes color and greyscale 15 x 20 inch maps (tiled for normal printers and single sheet for large format printers), six disease tracks, 150 counters, two player aid sheets and twenty event cards. It will take anywhere from half an hour to an hour to assemble it, depending on the work you put into it. This title was added to our catalog on February 27, 2008.